Bitcoin is headed toward $4,000 as a massive multi-day selloff continues, plunging the cryptocurrency more than 75% from its late 2017 highs. According to CoinMarketCap.com, digital assets have lost approximately $700 billion of market value since the crypto-mania peak in December 2017. Since the peak, Bitcoin has sustained 87% declines as hash rates have also taken a dip. Now, with the drop in Bitcoin hash rates, the difficulty to mine is also spreading to medium and small miners. They are now flooding their rigs on eBay as the crypto bubble collapses. “Mining” Bitcoins — a process of wasting enormous amounts of electricity to produce something of zero inherent value — currently costs an estimated $7,000 per coin, meaning that miners are now eating huge losses for every new coin they produce. Meanwhile, the Bitcoin community is waging an internal civil war — also known as the “fork you” revolt — that has pitted Bitcoin factions against each other in a scramble to see who can seize control over the cryptocurrency as it plunges in the direction of zero. The very fact that so many hard forks are taking place proves that Bitcoin can be altered at any moment by a simple majority of participants, obliterating any argument that Bitcoin is a “store of value.” If it can be changed at any moment by a 51% vote, it’s not a store of anything. That’s why gold beats Bitcoin: Nobody can magically transform your gold into worthless metal. Gold is a cosmic element made in stars, and it has been around for literally billions of years. Bitcoin, by comparison, is a comic element that has been around for less than a billion seconds. Yet Bitcoin cultists tell you with a straight face that Bitcoin will outlast gold… somehow. Hilariously, Bitcoin hodlers kept telling themselves that Bitcoin was the future of money. To believe this, you have to be horribly bad at math, because even a slight adoption of Bitcoin as a transactional currency would explode the size of the blockchain to terabytes of data, rendering it useless among mobile devices and most desktop PCs. 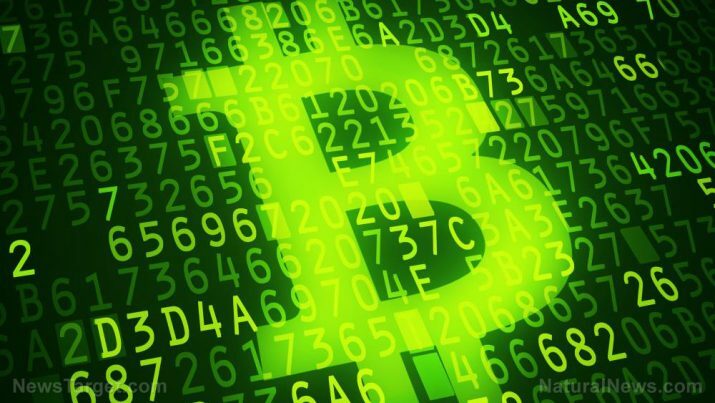 This irrefutable, logical fact didn’t stop Bitcoin pushers from claiming the currency would somehow achieve a million dollars a coin by 2020 — a promise famously made by the outlandish John McAfee who promised to “eat my own d#ck live on TV” if the price didn’t achieve the predicted milestone. Looks like McAfee had better start stocking up on d#ck dipping sauce, because his Dicken McNuggets are almost ready to be served. Bitcoin has always been a Ponzi scheme, meaning it relied on a never-ending wave of new “adopters” to buy the overpriced positions so that earlier adopters could pretend they were making money. But behind it all, Bitcoin owned nothing and produced nothing except for more Bitcoins. Bitcoin never had any inherent value at all, and the pathetic explanations that attempted to claim “proof of work” is an asset were just senseless babbling by people who are really, really good at fooling the gullible. Just because you run around in circles doesn’t mean your work is productive, and just because gajillions of CPU cycles are spent on pointless hash cycles doesn’t mean the results have inherent value in the real world. Everybody who bought into Bitcoin told themselves they could get rich without effort — a sure sign of a get-rich-quick con that was doomed to collapse. But the rapid rise in Bitcoin prices in 2017 convinced many that Bitcoin was a magical unicorn which could fly across the sky, farting gold coins as it passed gas overhead, raining down wealth upon sheeple who demonstrated no skill other than joining a popular bandwagon because everybody else was doing it. Wow. What genius. What other tricks do you know? 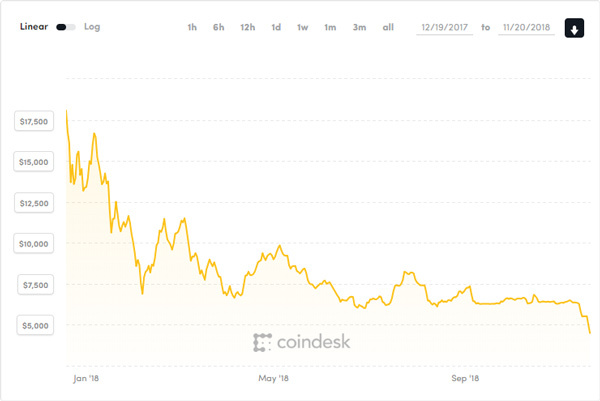 Now, with Bitcoin prices down more than 75% from its 2017 highs, the question remains for those still holding their (increasingly worthless) coins: Do they sell now and cash out before the collapse, or do they remain “hodlers” and ride the crypto crash all the way down to the point of collapse? Some people sell at “oops” but other keep holding until they reach the point of “stupid.” A few ride it all the way down to “suicide.” It’s all a question of where you want to get off, so to speak. Remember: The reason most people are not wealthy is because most people buy high and sell low. That’s exactly what all those Bitcoin enthusiasts who purchased at $15,000 are about to experience: a near-total loss of their so-called “investment” (which was never really an investment in the first place, despite what misinformed people tell themselves). Listen to the podcast below. I recorded this warning months ago, yet it’s just as important to hear today. If you are holding Bitcoin sell now while you still can and you might just walk away with a shirt on your back.